My maternity leave is over and I went back to work this week. I guess I was a little naïve, but I didn’t expect it to be so difficult. Returning to work after having a baby is hard. It is emotionally, physically, and mentally draining. 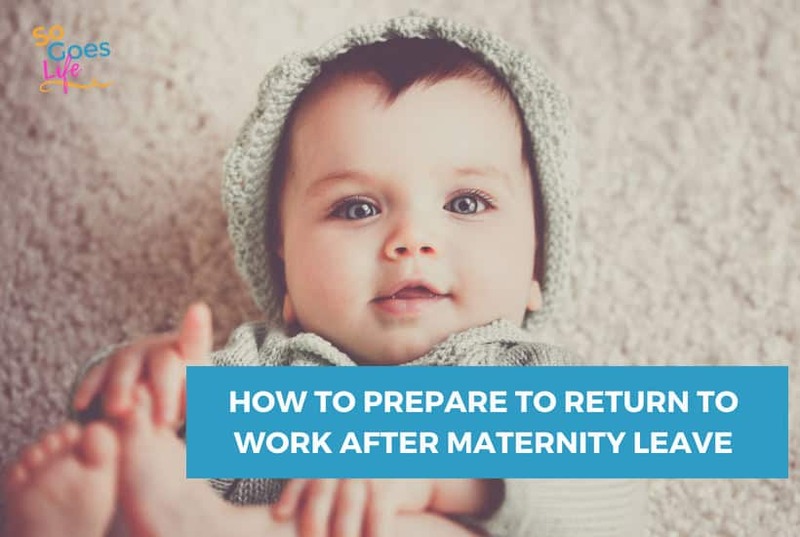 It isn’t so much work itself (although I hated the thought of going back to work), but all of the issues associated with leaving your child. I know that every woman deals with slightly different problems when going back to work after maternity leave. However, I think that most women share these three areas of concern regardless of their situation. I think finding excellent childcare is the single biggest issue for most families. This is the issue that scared me the most. It isn’t even the cost, it was finding the right person or daycare center. I’ve waited 39 years to have a child and I’m not willing to trust just anyone to care for her. I was lucky enough to have a good friend offer to watch my daughter, which is a win/win situation for both of us. On the other hand, I have a good friend who is making $10 an hour and trying to find daycare. The cheapest she has found is $32 per day. Do the math and you’ll find she just can’t make it. I know this is an extreme example, but cost effective daycare is a huge issue for most women, particularly single women. In her case, she has gotten creative and will be working a second job at a gym. She will be working for minimum wage, but at least her son can be there while she works and she is getting a free gym membership. There isn’t an easy answer to the daycare dilemma. Take a careful look at your budget and set a reasonable expectation for what you can afford. Once you have a general idea of pricing it is time to start doing your research. Do you research long before your maternity leave is over. Often finding a daycare can be very time-consuming. You’ll want to ask specifics on pricing, guidelines for care and policy towards newborns. Check their state licensing status/scorecard. Speak with other parents who are using the facility and get their honest opinions. If possible talk to other parents who are using the same facilities. I reached out via social media and got some great advice and help. If you have any hesitations about the site or character of a babysitter start running. This is one of the most important decision you will make it and isn’t something you want to rush into. I would advise women to be creative in their daycare solutions. Do your research. Don’t be afraid to ask questions of your Child Care Providers. You are the boss. Start asking questions before you even have your baby. My single greatest resource was other mothers. Often you can make deals with other mothers in your area who are staying home after having children. They may watch your child for a discounted rate in return for babysitting on the weekends. Another resource I found during my search was UrbanSitter. They provide both babysitters and nanny’s and had a review system that allows other parents to rate the quality of care they received. Their program looks really cool. I love the ability to see comments from other local parents. Angie’s List has a section devoted to rating and reviewing day care centers. They also have a section for finding local babysitters and nannies. I haven’t used this feature, but have used their review system in the past and am a huge fan. Just as an FYI, when you run your search on the Angie’s List Site, look for Child Care, not babysitting or Nanny’s. Editors Note: You may also want to check out my post on How to Prepare Your Home For a Babysitter. I know I’m being completely illogical, but going back to work after maternity leave gives me a strong feeling of inadequacy. I really struggle with the fact that I can’t do either job adequately. Am I going to be a good mom when I’m distracted by work? Am I going to be a good employee when I’m distracted by my child? Please tell me that I’m not the only mother who has struggled with these questions? Over the last couple of months, while I’ve been on maternity leave, there have been multiple times when work has called needing help. I’ve been able to help from home, but in the process have had to listen to Ella cry a few times as I finish a project. Is ignoring her for 5 minutes while I finish an email going to hurt her? No. But mother’s guilt always seems to kick in. It isn’t so much her crying as the fact that I’m ignoring her for work that I struggle with. On the other hand, I worry that I won’t be able to give my full attention to work. I’ve always been the go-to person who gets stuff done. This meant a lot of hours and some very last minute projects. When I had my return to work meeting with my boss, I let him know that I would be limiting my time to specific hours. I also let him know I needed projects that weren’t time sensitive. It was really hard for me to set these limitations and I felt like I was letting my employer down. I’m going to do my best to be a good mom and a good employee. At times work will suffer and at times my home will suffer. That is life. Just because the dishes and laundry aren’t always done doesn’t make me a failure. On the other hand, setting realistic working boundaries doesn’t make me a failure either. One of the best things I did for myself was to develop a morning routine. I knew that if I was organized in the morning that my working days would be significantly better. This, in turn, gave me additional confidence that I could manage everything. I used the Make Over Your Morning Course and absolutely loved it. I can’t express how much this class helped me get organized at a time when I was really struggling with managing all of my responsibilities. Having a baby, working, managing a family, cooking, cleaning etc – it can be completely overwhelming. I tried doing it on my own but discovered that with all of the frustration I was feeling I needed a bit of direction and help. The online classes and exercises were just what I needed to get myself organized and functional in the morning. I’ve been amazed at the difference a few small changes to my morning routine have made in the rest of my day. Don’t underestimate the power of proactive management, particularly when you are stressed and dealing with a little bit of post-partum depression (this is a post on my experience with the baby blues). They also have a Make Over Your Evenings Class if that is more your thing. PS – The classes are structured to be done on your own time frame and only take 10-15 minutes a day. I wasn’t about to add more stress to my already crazy life. After 3 months of FMLA maternity leave, I feel like I’m back to about 90%, in terms of my physical health. I’m still working on my last five pounds (just like everyone else out there – Uggg) and am definitely not at my normal fitness levels. I’m giving myself time to heal physically. Yes, I would like to lose the baby weight, but I’m slowly working up to a regular workout schedule. I’ve had too many friends who rushed to get back into shape after giving birth and subsequently injured themselves. You may want to check out my post on post-pregnancy weight if you are struggling with this as well – Postpartum Weight Loss: Focusing on your body, not the number on the scale. One of the other areas I was concerned about was healthy eating. I hate cooking and hated it, even more, when I was trying to juggle a baby and work. I ended up signing up for $5 dollar meal plans. Talk about a time saver! The goal is to do anything you can to save yourself time and money. My biggest issue is sleep – or lack of sleep to be more accurate. I’m consistently getting 6 hours of sleep each night. However, those hours are typically interspersed with random feedings. So far I’ve had one chunk of sleep for seven hours which was the most amazing experience in the world. Ella just doesn’t like to sleep more than 4-5 hours at a time and really seems to prefer two-hour chunks starting at 2:00 AM. Which on a side note, any recommendations on sleep training would be appreciated. Even though Ella is now in another room, I still wake up at that slightest sound. I finally got myself one of these and it has made a huge difference. I’m still sleep deprived, but can at least function now. Take your recovery time slow and easy. Have realistic expectations and don’t get down on yourself just because you aren’t back to “normal”. The best thing I did for myself was give myself time to heal. Both mentally and physically. I don’t know about you guys, but the birthing process was very traumatic for me. 17 hours of labor is going to cause some mental scars. I don’t have a lot of free time, but the time I do have is devoted to activities I love (which mainly means blogging right now). I also spent a lot of time, just being in the moment with Ella. I want to soak up every moment of her childhood. 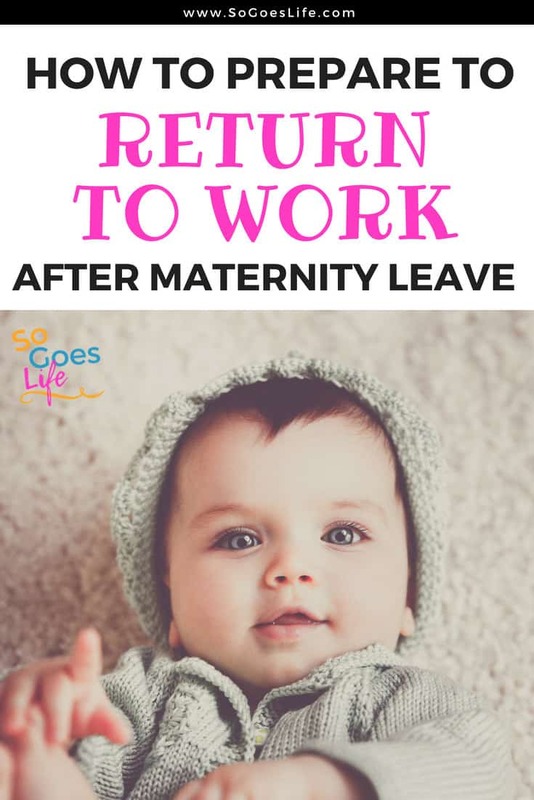 There is no perfect answer when the time comes to go back to work after maternity leave. Every woman has their own fears and concerns based on their situation. I know some women who only work because they have too. I know other women who are literally counting the days until they can get back to work after maternity leave. I’m right there in the middle. I’ve been in the business world for nearly twenty years. I’ve been very successful in my career and have built up a strong reputation in my industry. There is a reason my boss is willing to let me return to work on my terms. I love my co-workers, I love what I do. Being back in the office was so bittersweet for me. I loved being back and yet it is funny how something I’ve worked towards for years is suddenly so meaningless when I hold Ella. I knew that things would change, but didn’t realize how much of an impact she would have on my feelings. I consider myself very blessed to be able to work part-time and still have plenty of baby time. Hopefully, as I transition back to work everything will continue to go smoothly over the next few weeks. What are some of the struggles you’ve dealt with when returning to work? Make Over Your Morning Course – This is the class I took and LOVED! I can’t believe how much of an impact a few simple changes to my mornings made when I was trying to get a baby ready and still make it to work on time. Huge Stress Decreaser! Make Over Your Evenings Class – I didn’t take this one but heard it was great too. 5 Day Complete Life Management Course and Workbook – I’m still slowly working my way through this one, so I can’t totally recommend it yet. However, it is a great self-directed course that will help you organize and manage your life. I need all the help I can get on this one! $5 Dollar Meal Plans – I hate cooking and have discovered that meal planning is the absolute best thing in the world when it comes to avoiding kitchen stress. You can read more about why I love meal planning in this post – How to Makeover Your Grocery Budget and Save Money on Food. PS. Here are a few fun post-maternity clothes I love!